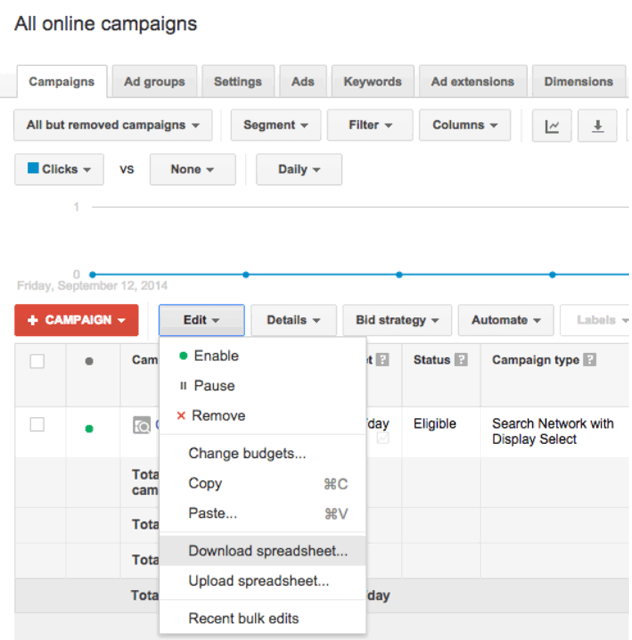 Google announced on Google+ improvements to their bulk workflow features within the AdWords interface. For example, if you have a set of keywords ready to upload to a particular ad group, you’ll be able to easily upload your lists of keywords into that ad group directly through the Edit menu. Your changes will be automatically applied to that ad group - helping you easily upload several changes, where and when you need them. You can access these upload features directly through the Edit menu on the Campaigns, Ad groups, and Ads and Keywords tabs. This post was pre-written and scheduled to be posted today. Have a happy, healthy and sweet new year!